Hi hi, finally got the time to sit down and write this one. 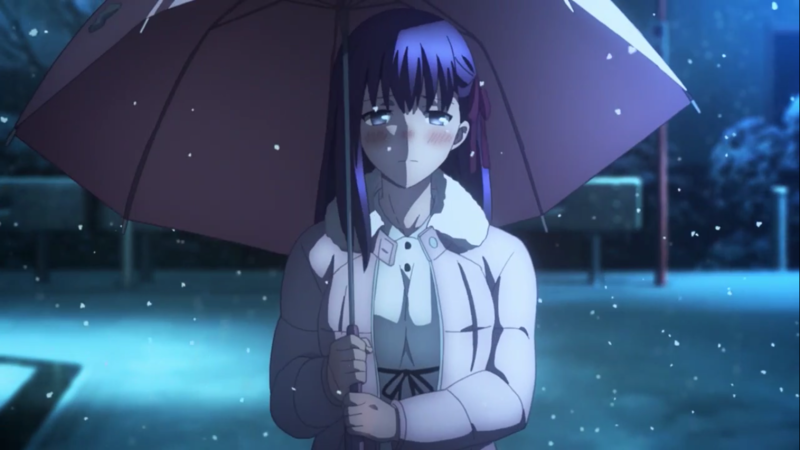 Part 2 of the Heaven’s Feel trilogy. This movie runs for 1hr 57mins, but the movie felt like a 2.5hr. The story picks up where we left off in the last movie. I wish the movie pacing can be a little faster, the whole movie is building up to something and it feels like an eternity. A near 2hr movie that feels like a 3hr, sitting in the cinema while watching was actually kind of torturing for me. Maybe I should have grabbed some popcorn. But overall, I am hooked. 1st movie was a first step, but now I can confidently say that I am addicted. I hope they can keep this up with the last movie, but do speed up the pacing. Skipping the animations bit since everything is still as refined as it is. Nothing to nitpick, just good looking Sakura with explosive Saber Alter. They really didn’t utilize much of the BGMs, most of the BGMs only played during intense scenes and exhilarating battles. Aimer’s ED is pretty darn great. I sat till the end of the credits just to listen to it. Totally not because of the next movie preview. Voice cast also pretty much the same throughout, gonna skip that. But Shitaya Noriko and Asakawa Yuu are MVPs here. I really have no complaints other than the pacing. It WAS slow. I can’t wait for 2020 with the last movie, they ended the movie at such a great cliffhanger. Highly recommended to watch the first movie before this one, common sense. Don’t watch this without at least the first movie. My best advice is at least watch UBW. That’s all for me for now, I have more posts planned, just need to find time to write them!